Marine Architecture Design S.L. was founded in Palma de Mallorca in 2003 by the naval architect Bob Hoghton, C Eng, Eur Ing, MRINA. With his years of experience as superyacht captain and as naval architect on the M/Y Seawolf project (conversion of a 58.83 m ocean going tug into a luxury yacht), he started the company focusing his work on superyachts. Throughout the years, Marine Architecture Design S.L. has been involved in a large number of projects for the yachting industry worldwide. 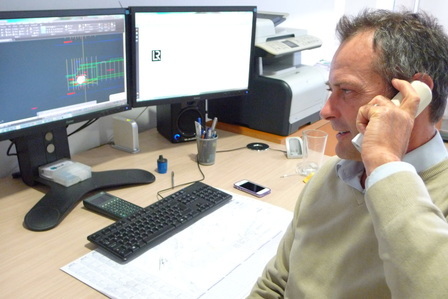 Each member of our team, draftsmen, surveyors and architects hold a very high level of the industry knowledge and expertise and are highly qualified. Marine Architecture Design S.L. will meet the specific needs of each client in an effective and reliable way.